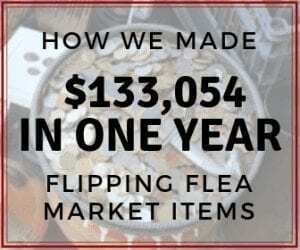 It has officially been a year since I started doing this Flea Market flipping gig full time. Wow. What a year it's been! I have always loved being an eBay seller (for the past 20 years), but I wasn't sure if I could really support a family of 5 with it. 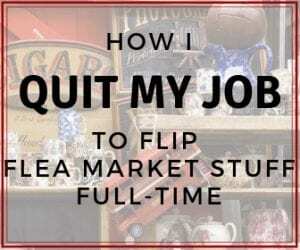 In case you missed it, I quit my job in May last year to do our side hustle gig full time. I wish I could say that because business had been going so well, I decided to jump right into full time and it was a seamless decision. The reality was that while our income was really good for a side income, it wasn't quite enough for full time, but I had a pretty good push into it because my employer had cut off my benefits. They made cuts and cut benefits for all the field inspectors. (I did home insurance inspections). That was when I decided it was time to jump into buying and reselling and become an eBay seller full time. Was it scary? Yes! We had just had our third baby 6 weeks earlier so it wasn't the ideal time to lose health insurance. Melissa had stopped doing personal training sessions when baby boy was born and wasn't planning to go back this time. So, we had already cut back on our monthly income, and then losing insurance and the extra income from that job was a bit stressful. But it is what I needed. It was what we needed. We have a strong faith in God and believe He lets things like this happen to help us grow and for a plan greater than we can see. This was definitely true this past year. 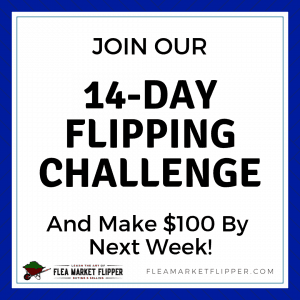 We couldn't see it at this time last May, but the following months would be some of our highest we have ever had in our past 20 years of flipping items. Since I was full time, I treated it more like a business instead of a hobby, and it paid off. Since going full time last May, we have had $128,548 in sales! We did learn some things from that sale with Paypal, which is going to be a blog post very soon. There are a couple things we would have done different in handling the large transaction that would have saved us a lot of headache with PayPal. But even with those hurdles, we were super stoked for that large return on a single item. 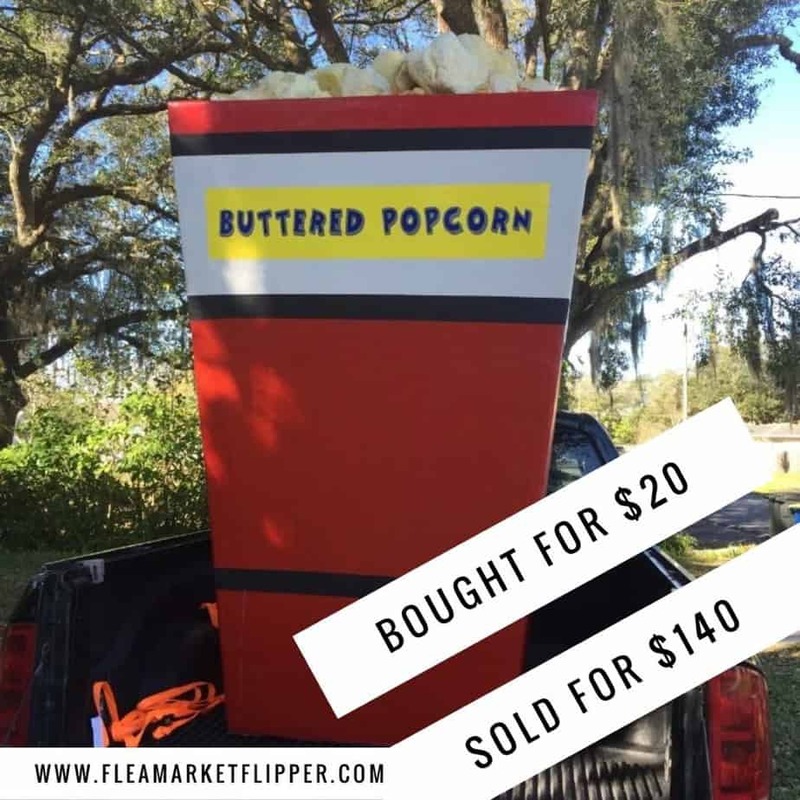 This buttered popcorn prop wasn't the most profitable flip, but c'mon. Who doesn't want a 7-foot tall buttered popcorn at their house? I bought it from an auction for $20, and sold it for $140 on eBay. This was one of my favorite finds that hasn't been flipped yet. 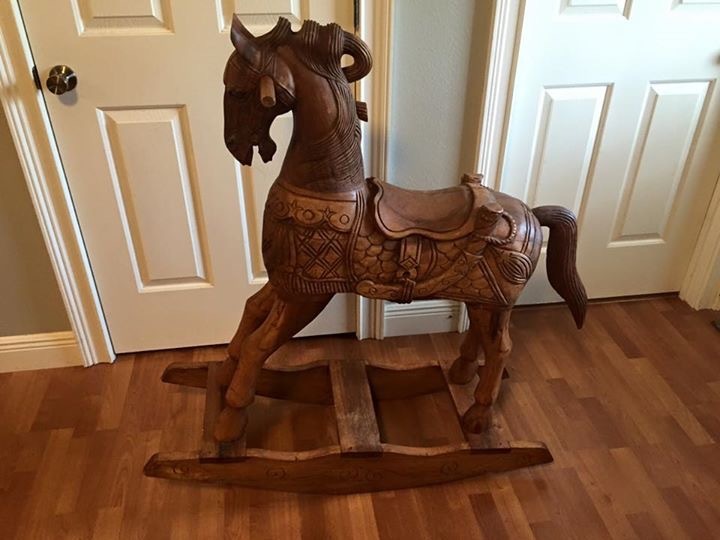 It is a gorgeous hand carved rocking horse that is just waiting for the right collector to see it. Look at that detail. Isn't it fantastic? This next flip was definitely a favorite – just look at that return! 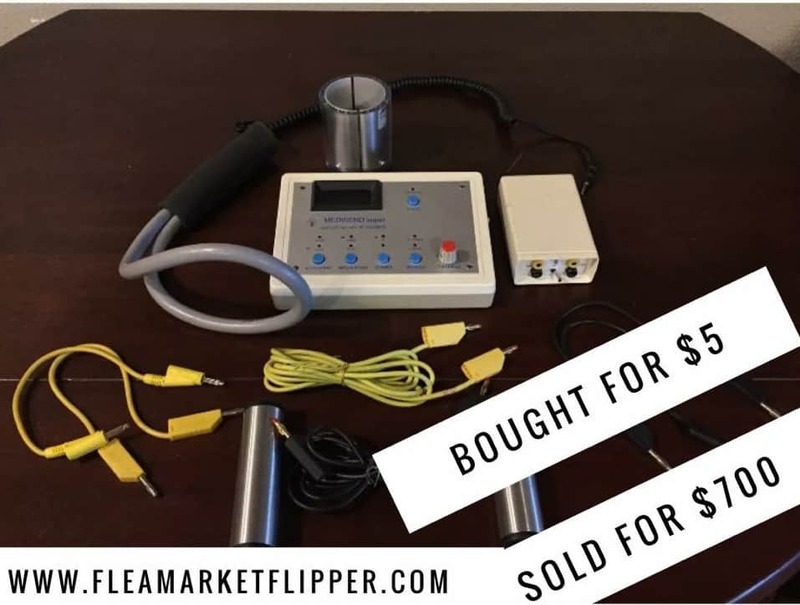 I bought this magnetic medical machine for $5 at the flea market, threw it on eBay and after a few months sold it for $700! I had no clue what this machine did, but I risked the $5 investment because it looked like it could be expensive. I still don't know what it does. But someone out there did, and that's all that really matters. This past year really has been so much fun for me. Yes, of course it's work, but it's what I love so being an eBay seller doesn't usually feel like work. I've been able to spend more time hunting for treasures (which is my FAVORITE part! ), and buying a lot of fun items. And, just to clarify, when I say full-time, I still don't mean full-time hours. I am really NOT a work-a-holic. At all. I like having fun too much. I love spending time with my wife and kids. I would rather push something off a little to go do something with my family, or help out a friend. Melissa has to remind me sometimes to make sure I am getting things done (she is the planner/work-a-holic in the family). We probably could have had an even larger return on some items had I put more hours into it, but to me family and friends are worth more than a little extra money. This brings our total sales for the year to $128,548 Not too bad if you ask me! I have to give the credit to God – He is the reason behind any success we have. You may notice that our income is a little all over the place. This makes creating a budget REALLY difficult. And, in case you missed it, I am not the organized, planner-type, but we have to have some sort of plan in order to make the budget work each month so we are prepared for the lower months. Our friend Charissa Quade wrote an e-book exactly with people like us in mind: Budgeting Made Easy: Thriving on Any Income. You can check out her guest post on our blog: 4 Powerful Ways to Make The Most of Your Variable Income to get some more tools in your tool belt for your budget. You may have also noticed that we haven't had the really huge months lately. That's because I haven't been actively looking for more items to flip since we are planning to move into a 5th wheel in the next month or so. We plan to do some flipping form the road, but not any large items. So, if you are thinking about starting a new venture, but are scared it won't pay off, just do it! You will only know if you can do it if you try. 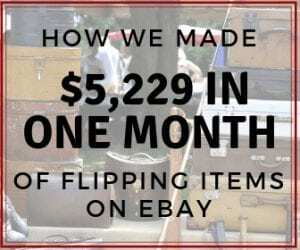 And if you are interested in trying your hand at flipping items for a profit and becoming an eBay seller, check out our e-course Flipper University, where I take you through the step by step process of finding treasures and then selling them online for a profit. Looking back on the year, I would call it a success. Not only from a financial standpoint, but from a family one as well. We have been able to spend more time together. And one of my great ideas so far this year came while we were on a afternoon walk with the family. We try to make it a point to walk to our local downtown area at least 4 to 5 times a week just to get the kids out and get some fresh air. Melissa and I believe it's so important to get some type of exercise daily. That being said we picked up an awesome electric wheel chair one afternoon while on our family walk. I told Melissa I was going to write an e-book to help people find out if flipping items is the right side hustle for them. So 5 Ways to get free Items to resale for profit was born. This ebook is excellent for people who want to start flipping but don't have a lot of money to invest on inventory. It walks you through 5 different ways of finding inventory for FREE. Should Buying or Selling on eBay Scare You? 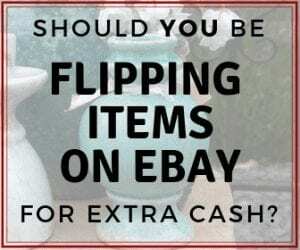 Have you thought about becoming an eBay seller recently? Either part time or full time? What is holding you back from jumping in and doing it? This is awesome I recently left my insurance job to be a full time mom as well and I started selling things on eBay, honestly so far it’s been pretty good. I love your article and what you’re doing for your family, the outdoors and being able to spend time with your children is such a blessing. May God continue blessing you guys! Living in a 5th wheel with a young family???!!! You’re kids are going to have some words for you when they’re older. Hope you settle down s soon for their sakes. I’m sorry you feel that our kids would be living a rough life in a 5th wheel – visiting different locations, playing in parks, exploring in the woods, on the beach, and being kids. (NOT staring at screens inside the house). Our kids prefer to sleep in the camper over their own beds at home. We didn’t end up moving into the 5th wheel last year because of a pending reality show, but we do plan to take a year off in the future and travel the country in it. 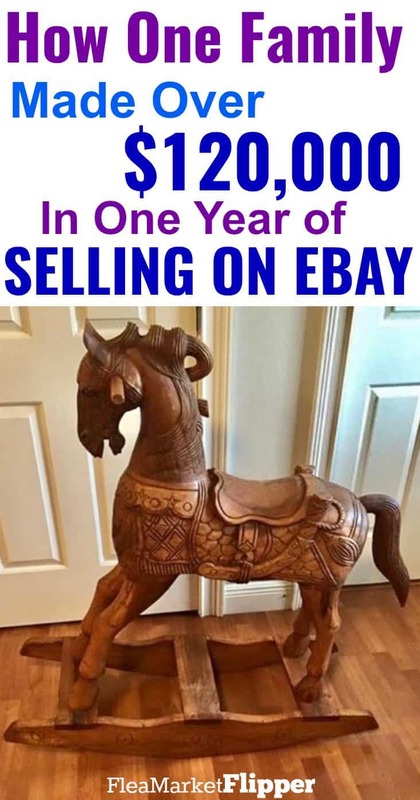 I noticed the pretty horse you forgot to include what you bought it for and how much you made in return. I really loved the security tower very neat you made a video of this. What has been your most unusal flips ever request for blog post please. 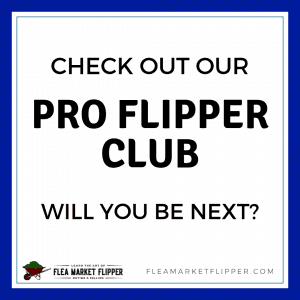 Very cool post I hope you keep posting flips post there very educational and cool thanks. This has really motivated me to see that this type of business venture can pay off. I have been selling as a hobby on eBay for almost 10 years, but recently decided to make this my business to support my family. Any feedback or advice you have would be great! You can definitely do it! Check out some of the resources we have on our site. Are you on our mailing list? We try to send out resources fairly often as well. Recently i have started my journey as a seller. This article is a motivation to me ! Thanks for sharing Robert . Awesome Bill! Keep me posted on your progress! I am thinking of doing this part time. I love that I can involve my kids in the process. This is amazing! My friend started flipping items and he’s made around $500 in profit so far, which is pretty good for just starting out. I’m so impressed! That is awesome. You really can do quite well, especially once you train your eye to look for things. And there doesn’t have to be a huge investment to get started either. I look for $5-$20 items all the time.